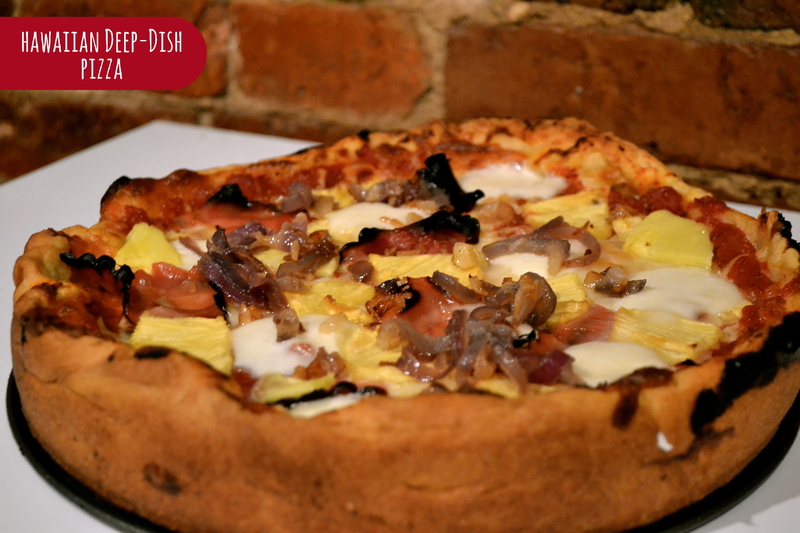 Continuing our Obama-inspired menu, we drew from POTUS’s island roots and decided to make a Hawaiian pizza- fresh pineapple, thinly sliced ham (proscuitto would be delicious as well), and two varieties of mozzarella make Hawaiian pizza one of the most popular in the States. And then we got crazy and paid homage to his Chicago life ALSO, throwing those Hawaiian toppings on a traditional cornmeal deep dish crust. 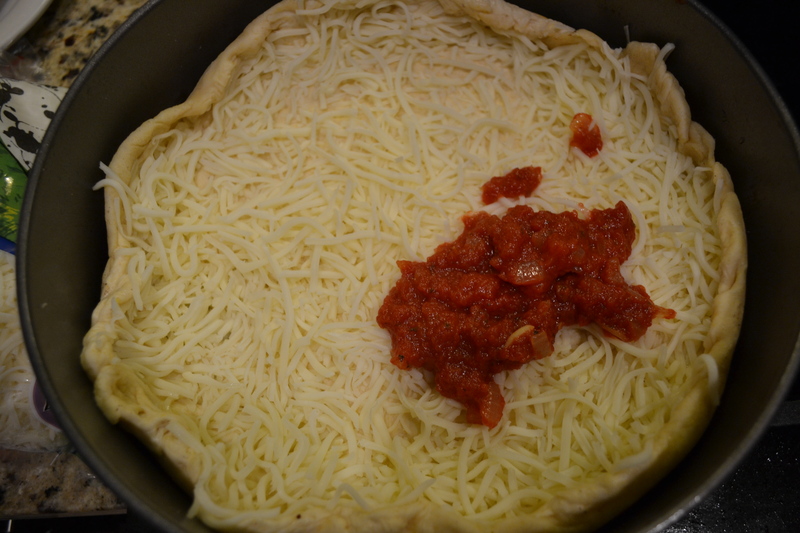 Check out our recipes for homemade pizza crust and marinara sauce also! 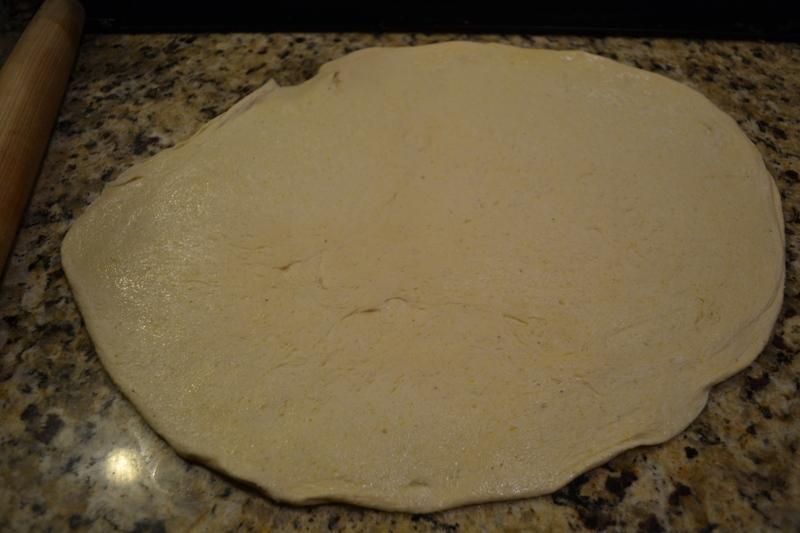 Start by rolling out your pizza crust to a 13-inch circle. Rub the inside of a spring form pan with olive oil and set the crust inside the pan, working it two inches up the side of the pan. Layer on the shredded mozzarella and the sauce on top. Seriously people- cheese FIRST. Sauce SECOND. The cheese sort of melts into the crust and creates this gooey perfection. Bake at 425° for 20-30 minutes, or until, you know, the pizza is ready. If you don’t know when a pizza looks gooey and crispy and perfect, then shoot us an email and we’ll come to your house and tell you. We charge in pizza slices, if you catch my drift.